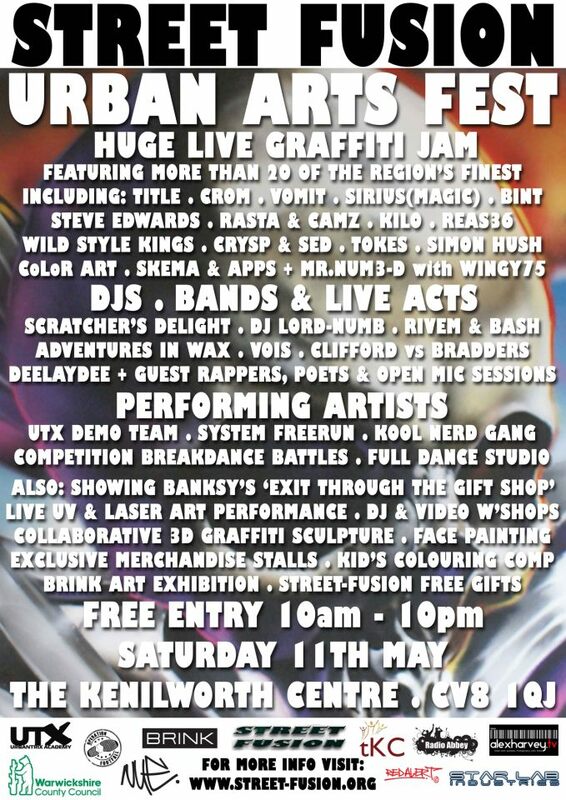 Street Fusion is a huge FREE event that is being hosted by Brink Contemporary Arts and takes place in Kenilworth on May 11th 2013 and it will be a fun day out for everyone that attends. There’s a live graffiti jam happening, featuring more than 20 of the regions finest artists, as well as DJ’s, bands, live acts and performings artists (which includes breakdance battles and freerunners). As well as all this there will also be a live UV and laser art performance, a full dance studio and, for the kids, face painting and a colouring competition. 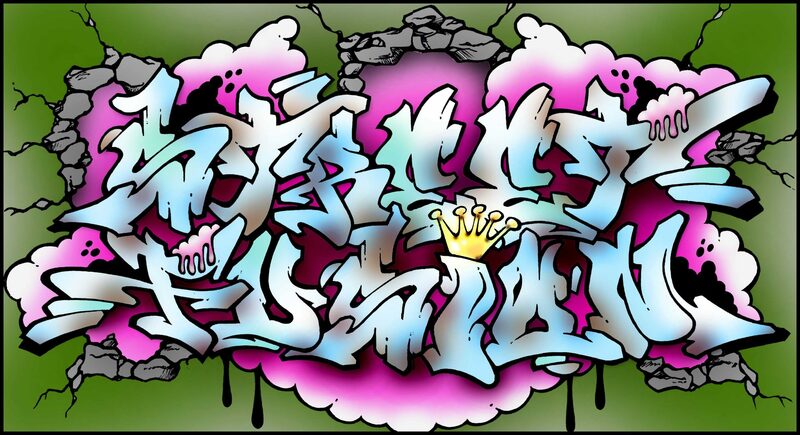 Some of the graffiti artists confirmed for the event includes the likes of Title, Kilo, Skema, Vomit, Apps, Hush, Bint, Reas36 and the Wild Style Kings – this means that you will get to see an amazing array of artwork go up in front of your very eyes! Thank you for taking the time to read this post and I hope to see you there – don’t forget, IT’S FREE! !